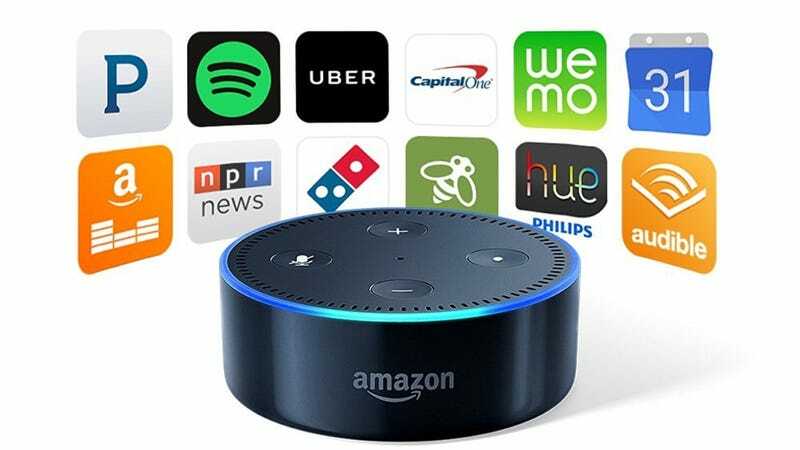 The Amazon Echo Dot, launched earlier this year, was designed as a miniature Amazon Echo that you could put in any room of your house, uplifting its larger sibling’s Alexa-powered smarts from a single-room affair to an omniscient personal assistant ready to respond to every back and call. Unfortunately, it was a tad expensive at $90, you could only order it through an Amazon Echo, and it was perpetually backordered. All three of those problems are fixed with today’s re-release. The hardware is basically unchanged (save for hardware volume buttons, and a new white version), but it only costs $50 now, and you can order it from any web browser, with delivery set for October. Plus, if you really want to put them in every room of your house, you can buy six for the price of five with promo code DOT6PACK, or 12 for the price of 10 with code DOT12PACK. 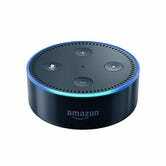 These do have tiny speakers built-in, but if you’re planning on using it to actively listen to music or radio, you’ll want to plug it into a larger set of speakers, or pair it via Bluetooth to something like the Anker SoundCore. All-Clad skillets, Fossil accessories, and Anker’s fastest chargers lead off Wednesday’s best deals.